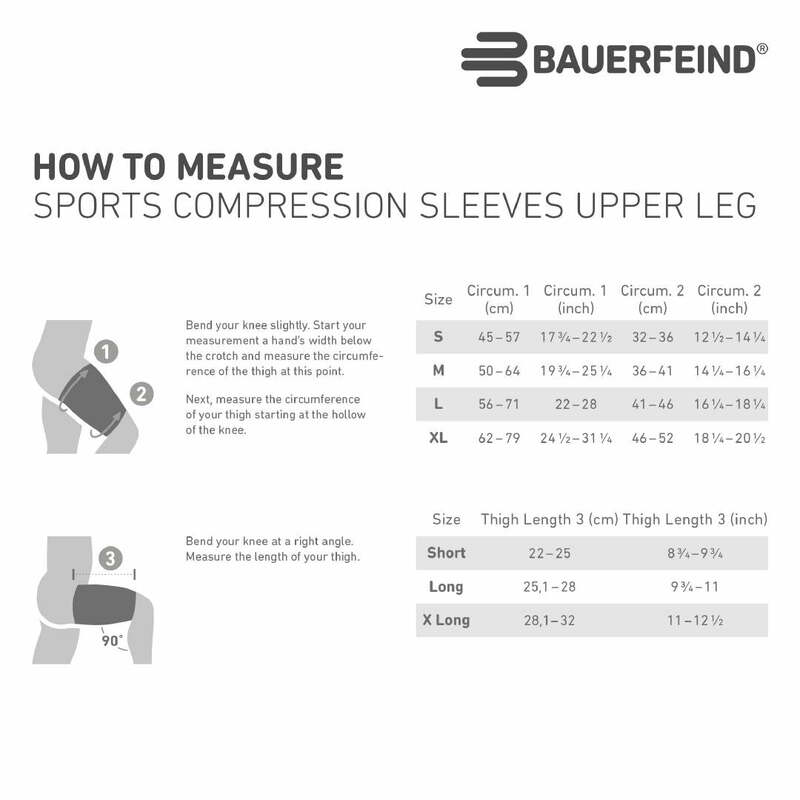 The Bauerfeind sports compression sleeves for the upper leg allow your thighs and hamstrings to receive a better supply of oxygen, perform more efficiently, and recover more quickly. Due to the added circulation and increased supply of oxygen from Bauerfeind's unique gradient compression, your sensorimotor function is improved. This helps you improve your performance during athletic activities. 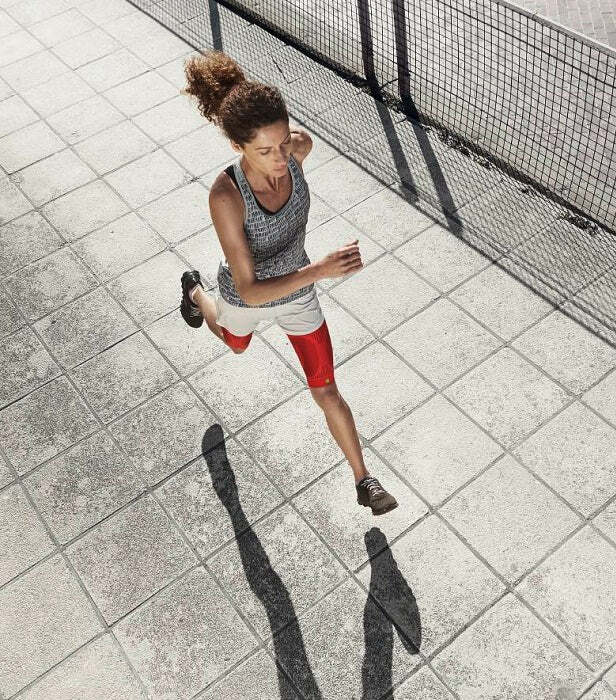 Your muscles warm up more quickly thanks to the improved circulation, meaning they are better protected against injury. 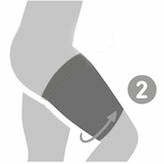 A reduction in muscle vibrations also assists in reducing muscle fatigue. * Please note colour of product is the forefront colour in product images. Bend your knee slightly. Measure the circumference of your thigh at its widest point. 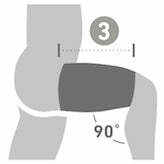 Measure the circumference of your thigh starting at the hollow of your knee. Bend your knee at a right angle. Measure the length of your thigh. 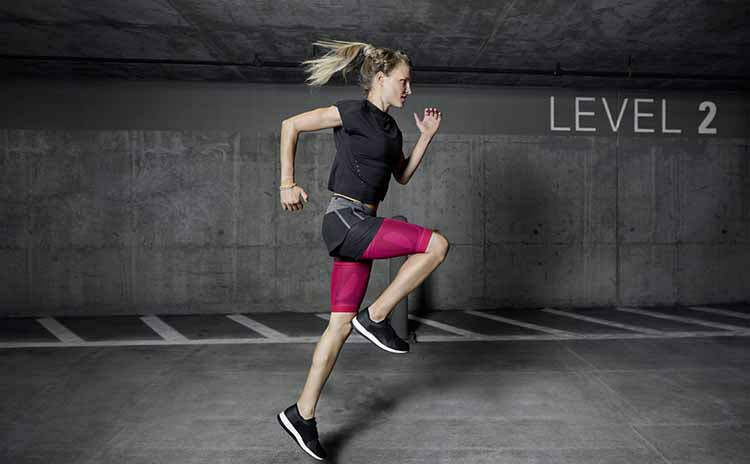 All thigh compression sleeves have a 1 year warranty and a 30 day exchange policy.